Whether it's a group of friends, an outing for the office, or a gathering for an organization, any group of 20 or more can enjoy Bravehearts baseball and save money as well! Bring everyone to Hanover Insurance Park at Fitton Field and enjoy a night of affordable, family-friendly entertainment. As a group, you will have the first option of taking part in on-field contests, running out on the field with the players in our "Field of Dreams," singing "Take Me Out to the Ballgame" in the 7th inning, throwing out a ceremonial first pitch, or even singing the National Anthem. All of these opportunities can be reserved in advance based on availability. 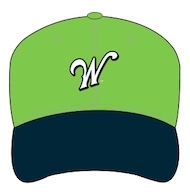 Each member of your group will also receive a limited-edition 2019 Worcester Bravehearts hat included in the price of your ticket. Your group will also be recognized with an announcement over the public address system during the game. Bravehearts groups also have the option of a pre-game, all-you-can-eat buffet picnic catered by Creedon and Co (click here for details). We can answer any question you may have regarding pricing and menu. So if you're looking to have fun this summer as a group, give the Bravehearts ticket office a call and arrange your event! Each member of your outing receives a $10 hat included in the price of the ticket. 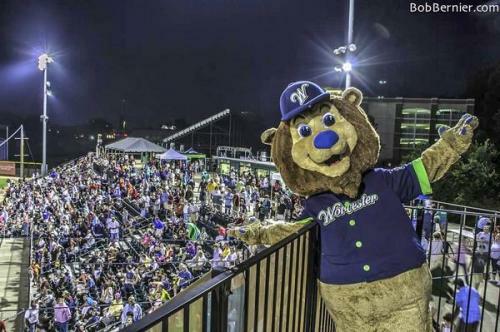 Call (508) 438-3773 to organize your group outing today or email Tickets@worcesterbravehearts.com! Please note: To receive a group discount, the group outing must be arranged through a Bravehearts ticket representative in advance of the game.